I am really glad I can continue my mission, that is to promote Polish music. My Polish Reflection presents the works of 10 Polish composers from the 19th, 20th and 21st c. Their compositions were written over the period of 185 years, ranging from Chopin’s Variations in B flat major that date back to 1833, to a series of compositions by M. Papara that were created in 2018. 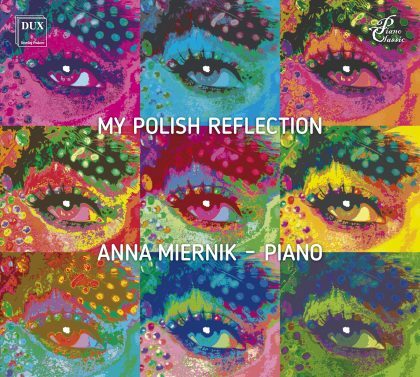 I hope that thanks to this ‘musical kaleidoscope’ you will see how varied Polish music is in terms of its imagery, character, colour and tone. In the series of compositions by M. Papara you will hear many sound clusters. Sometimes it was even necessary to use the entire piano keyboard in order to produce them. That was possible thanks to specially designed felt-padded panels that were placed on piano keys, allowing in this way a simultaneous production of all piano sounds. Please listen attentively to their exceptional timbre as this is the crucial and underlying component of this series. Cofinanced by the founds granted by the Ministry of Culture and National Heritage from the Funds for the Promotion of Culture as a part of the programme ‘Muzyczny ślad’, implemented by the Institute of Music and Dance. I am proud to present to you my latest release, a CD which has been very dear to my heart. Popularisation of Polish music both in Poland and all over the world has been, and will remain my special mission. I would like to emphasize that most of the pieces featured on this CD have never been publicly performed, let alone recorded. Why did this happen? The manuscripts of the songs’ scores are kept in the Raczyński Library in Poznań. It was there, where I selected the songs to be recorded. Frequently the original scores were not fully intelligible, therefore, relying on the artistic intuition, I had to verify the sound material and modify it slightly. For the sake of variety I have chosen the songs that cover a wide range of topics, and reflect various sources of inspiration for the composer. This CD has been our contribution to the celebrations of The Feliks Nowowiejski Year. However, this was not the only reason. 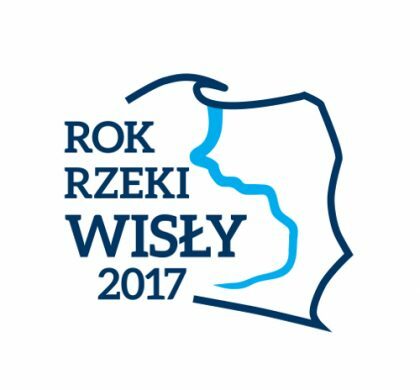 The year 2017 has also been proclaimed the Year of the Vistula River. As one of the songs is called Vistula, I decided to use this worldwide recognizable English name as the title of the entire disc. The photos were also made at the Vistula River (some on the Marshal Józef Piłsudski Bridge in Kraków). I do hope that discovering the richness of Feliks Nowowiejski’s music will give you as much satisfaction as it has given me. I wish you many artistic emotions while listening to the CD. Cofinanced by the founds granted by the Ministry of Culture and National Heritage as a part of the programme ‘Nowowiejski 2017’, implemented by the Institute of Music and Dance. My mission as an artist is to popularize Polish music, especially abroad. Up until December 2017 I have performed the music of 33 Polish composers – both the contemporary ones, as well as those who lived 200 years ago – in 31 countries. I am sure that thanks to such activity people all over the world can appreciate the richness of Polish culture. We can also realize that many inter- esting Polish composers are – quite unjustifiably – still unknown to wider audiences. What I have found particularly gratifying is that Polish music always appeals to listeners far and wide, to such an extent that they want to listen to it more and more. 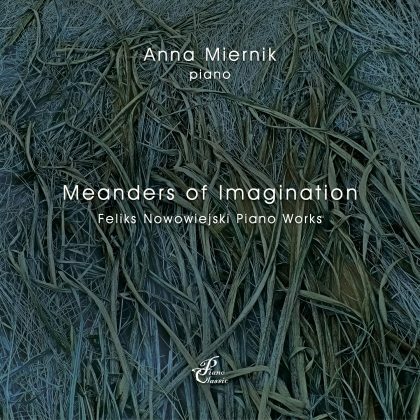 The CD Meanders of Imagination includes Borowiak, a folk dance from Kashubia. This was the first composition by Nowowiejski I played at my recital in the Olsztyn Philharmonic Concert Hall. It is worth noting that the Philharmonic of Warmia and Masuria in Olsztyn has been named after Feliks Nowowiejski. The disc also contains the march Under the Banner of Peace for which Nowowiejski was awarded the first prize by the British Musician Association in London in 1898. As I have been living in Cracow since I was born there it seemed an obvious choice to include Krakowiak (a folk dance from the region of Cracow) and Poetry of Old Cracow.